This will be my final piece (for now) on this subject and I thank you for bearing with me, especially the Intenders and Mentors. In fact, Intenders and Mentors, thanks for all the hard work you do!Let me ask a question, how many of you ever felt alone when there was a new Brother inducted into the fraternity? 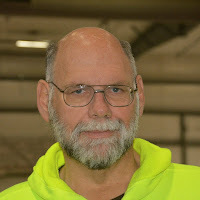 Almost like the job of the lodge is to say, "Oh Brother Dan, you're the candidates Intender." And that is all the lodge does besides the ritual? Well, let us address this now. This piece is directed to the lodge as a whole, and especially the three principle officers. Let's address some lodge officers and see if we're doing all we can. Brothers Stewards and Brother Junior Warden, you see the lodge as a whole from your positions and offices, not just in ritual but in general. Brothers Stewards, your jobs are during times of refreshments and fellowship. You have seen the new Brother interact in all aspects of Freemasonry not only in the ritual. 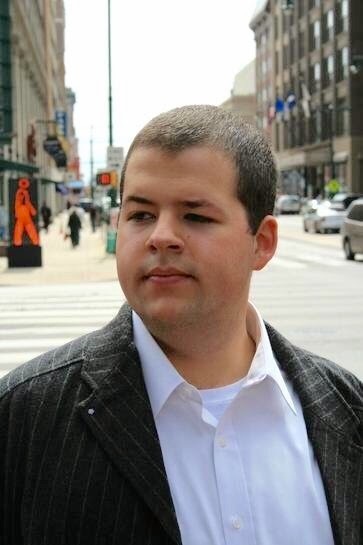 What does this new Brother bring to the table of Freemasonry as a whole? Did you explain your offices and what they represent as a whole, to the new Brother? Brother Junior Warden, did you fulfill your purpose with this new Brother? Did you give the "New Brother Report" to the Senior Warden and the Worshipful Master? You three are the "Open Eyes" of the lodge, I pray you did your duties not only your rituals. Brother Marshal, Brother Junior Deacon and Brother Senior Warden, how has the west impressed upon this new Brother? Brother Marshal, do you believe that your position is opening and closing the doors? Did you teach the esoteric purpose of your office? How about you, Brother Junior Deacon? Have you have had the most intimate relationship with this Brother outside of his Intender/Mentor, what have you given him? What did you notice of worth from this Brother? Did you impart the new Brother with old knowledge so that he may grow? Brother Senior Warden, overseer of the West Gate, did you notice this Brother on each of his entries? What imprint did his comings and goings leave upon you? With the information from the Junior Warden, what information can you pass to the Worshipful Master so that he can perform his duties upon this new Brother? Finally Brother Senior Deacon and Brother Worshipful Master, you two most of all are responsible in the development of the new Brother, your fulfillment of your duties are the most detrimental. Brother Senior Deacon, how did you follow through and guide this Brother in his actions outside of ritual? Brother Worshipful Master, did you take the advice and information as well as recommendations from the Junior and Senior Warden? Did you use that to create a plan of action to give this new Brother proper instruction? Do you know how to properly set him to work according to his passions and skills? Here's the secret my Brothers, it takes a lodge to raise a Master Mason. As he was given instruction and walked the path through the body, starting at the heart and ending as part of the soul, remember, he did it with the whole lodge. Did we give him proper resources and instruction? 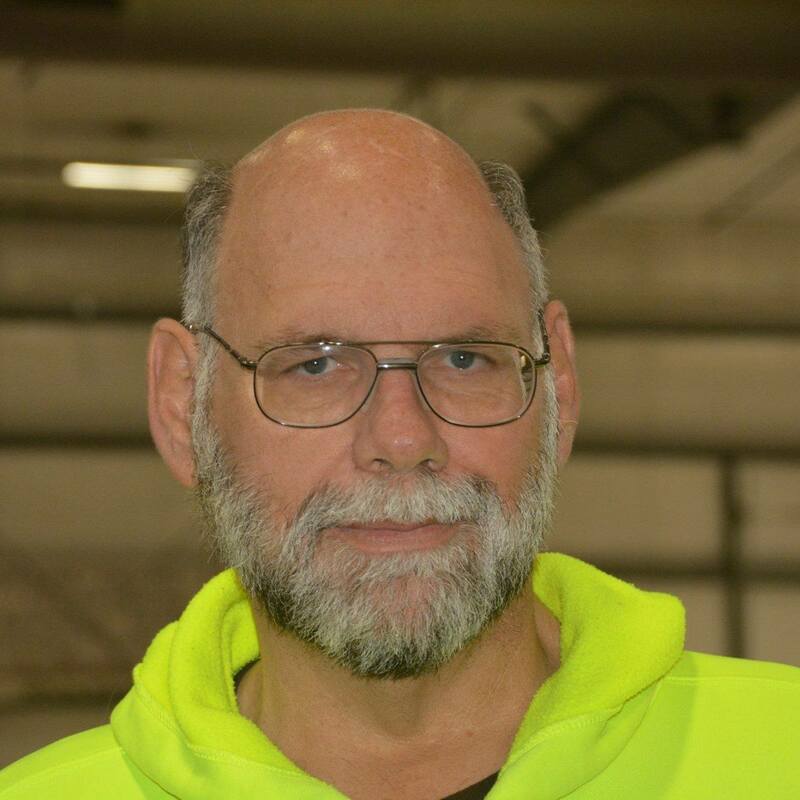 Can we do better in raising a Master Mason? Will we? 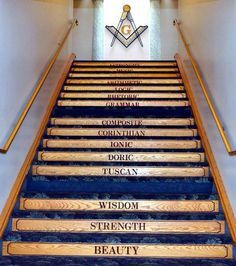 No One Takes A Step In Freemasonry Alone! No One! We were well into getting the Lodge cleaned up. The junk had been hauled off from that spare room. Some of the painting had been done. New carpet had been laid in the preparation room, and in that spare room as well. And there was already a brand new roof on the Homer Temple! It was time to dig into a project we'd been putting off. 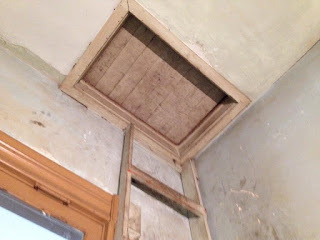 We knew there was a lot of stuff in the attic of the Lodge--Greg Knott had seen it at one time. We knew it needed to be brought down and gone through. So one Saturday morning we gathered at the Lodge, and with the help of several Boy Scouts, we set about the task of bringing it all down. 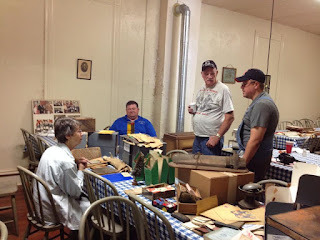 We knew a lot of that stuff could have some historical significance, not only to the Fraternity but for the community as well, so we had two members of the Homer Historical Society, Molly Shoaf and Ray Cunningham, there to look through what we were bringing down. We set up a bucket brigade, and the ones that lost the coin toss and were up in the attic began handing down load, after load, after load, after load of stuff. We filled several tables in the dining room. We covered the floor of the Tyler's room . . . and it just kept coming. I think we were all shocked at just how much was up there. There were Grand Lodge Proceedings, newspapers, old movie posters, Lodge jewels, collars, hats probably belonging to Past Masters, etc. 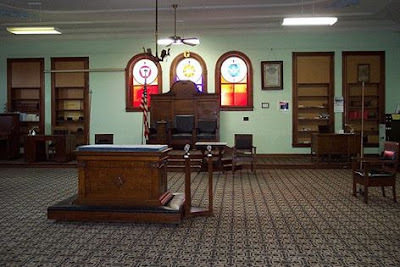 There were records going back to the chartering of the Lodge 160 years ago--and since the building is only 124 years old, that means some of those records were moved from wherever the Masons met prior to building our current Temple. There was framed art. There were records pertaining to the York Rite Chapter and the Easter Star Chapters that had met there. There were photographs and newspaper clippings pertaining to members of the Lodge from decades past. There was evidence that a lot of entertainment was had in that old Lodge--there were many, many decks of old playing cards and poker chips. It was a time capsule. 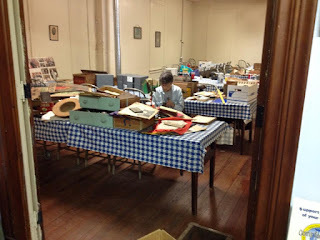 Molly Shoaf beginning the process of organizing the enormous treasure trove of records we discovered. 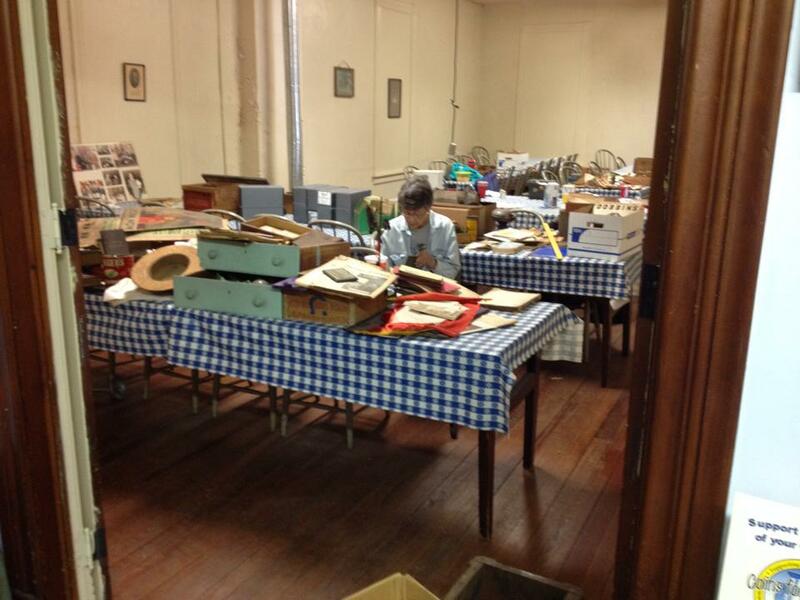 Most of the records and newspapers went with the Historical Society. So far as I know, they are still going through those records. Some of the things they've found were missing puzzle pieces of the town's history. There were a few things we found up there that were pretty amazing--like old ceramic record albums with degree music on them that were recorded by the John Philip Sousa Band. There was an old print up there so covered in dust we didn't even realize there was anything in the old frame when it was brought down--I've looked, and never found another Masonic print like it. Every square inch of that 18 x 24 print is covered in tiny text quoting Masonic ritual and teaching. As we looked at all this stuff, something changed . . . the purpose of our project seemed to change. At least it did for me. It was no longer about saving an old building, or even a Lodge. It was about saving a piece of history that at least for the time being, was still alive and well after 160 continuous years. Once we got all that stuff down from the attic, the question was what we were going to do with it once we got through it all. Put it all back up there to collect dust again? How could we tell the 160 year old story of Freemasonry in Homer, Illinois that all these old artifacts represented? Remember that spare room I mentioned? It had three old glass cases in it--probably left overs from one of the businesses that operated out of the first floor of the temple at one time or another. Kind of like the display cases you'd use in a museum. 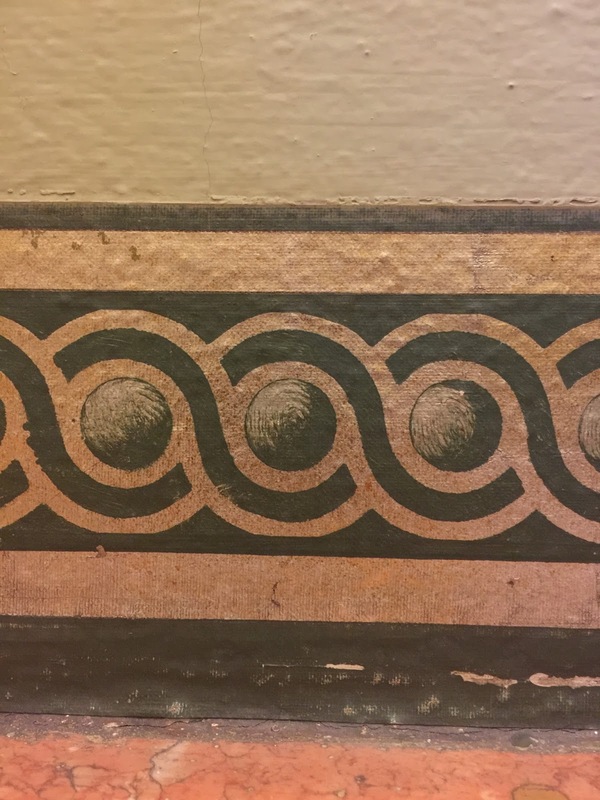 Perhaps that's a story for the next installment--the story of the Homer Masonic Temple Museum. Recently I had the distinct opportunity to attend what, I believe, was a near perfect Masonic event. One day I received a Facebook invite to attend the 2016 Spring Reunion of the Guthrie Scottish Rite in Guthrie, Oklahoma. I had heard so much about this Valley since I moved to the Southern United States and I really wanted to attend. Maybe it was the Grand Architect of the Universe smiling down upon me, or it was just pure luck, but a few days later I was informed my Fiancé's niece was playing in a softball tournament in a town near Guthrie on the same weekend! We decided to book a room before we changed our minds! This was going to be a unique experience for me. I was made a 32° Mason in the Northern Masonic Jurisdiction. I had attended a few reunions in my home valley but I had only seen a few degrees and a few of the ones I had seen, by now had been rewritten. My valley only shows a select number of degrees each year and for the remainder of the degrees the candidate is just given an obligation for those remaining degrees which aren't going to be performed. Guthrie was going to perform all 29 degrees over the course of this reunion. I promised myself I would see as many as I could over this three day event. Last year I became a plural member of the Southern Masonic Jurisdiction within the Valley of Dallas. Due to certain issues in my life, I have never really been able to take advantage of this membership, so this was my first real Southern Jurisdiction experience. As we pulled up to the front of the temple I tried to take in the entire building. I was in awe of the pure size and majesty of the edifice. I knew the building once served as the Capitol for the territory of Oklahoma but I wasn't prepared for it's beauty. I walked up the steps of the building trying to take in everything I could. I opened the heavy door and took my first steps into the ornate lobby. I walked into the lobby and registered for the event. I then found the office and asked to borrow a prayer cap. Being a Northern Jurisdiction Mason I didn't own a cap. I was under the assumption only 33°’s and men who had been honored with a Meritorious Service awards wore caps, because that's kinda how it works in the north. I have been told recently it's up to the individual valley in the north. Either way I didn't have a cap so I needed to borrow one. I found my way into the auditorium by the sound of the beautiful organ being played. In the cathedral was a Kimball organ which was installed in 1926. It still sounded brand new. I found an empty seat and waited for the event to begin. I spent the time looking all around me. The room was so huge, I couldn't stop looking at everything. I was impressed by the number of candidates which began to file into the room. It was the largest class of any Masonic event I had seen. I was told (But I didn't verify) the class had 88 members. I don't know if that is typical in the south but to me, it was impressive. The class was welcomed to the valley and was introduced to Illustrious Brother Jim Tresner. Brother Tresner is one of my all time favorite Masonic authors! I had hoped to see him there. I wanted to meet him but I was afraid I would say something silly like some Masonic groupie. (I know that sounds silly but I could see it happening.). Brother Tresner told the candidates to “Enjoy the degrees, because you will never be able to see them again for the first time”. Even though I have been a Scottish Rite Mason for over a decade I knew he was right and since this was my first time seeing the degrees of the a Southern Jurisdiction I felt like a candidate all over again. I had seen as many of the degrees as I could that weekend. I was truly impressed with the meanings behind each one. They were well written and the actors did a fantastic job. I had heard the Scottish Rite considers itself to be “The university of Freemasonry.” I can totally see why now. I was motivated to dig deeper into the meaning and symbolism behind these degrees. The Valley of Guthrie has a correspondence course entitled the “College of the Consistory”. After seeing these degrees I know I will have to enroll in the "college" in the future. I was totally blown away by the stage crew. They changed sets quickly and quietly while surrounded by the darkness and the stage effects were amazing. Almost like a Broadway show! Watching these men performing their duties in such a professional way, I was saddened to think how future candidates in the Northern Jurisdiction won't experience anything like this since they are giving up the stage craft and instead, showing videos. I spent the rest of the weekend watching the degrees, wandering around the facility admiring the beauty and visiting the Oklahoma Masonic Museum and engaging with other Brethren in the Cigar room. I also got to meet Illustrious Brother Bob Davis who is retiring as General Secretary for the Valley of Guthrie. I have corresponded with Bob many times but this was the first time had the honor to meet him in person. I have been told by several Brethren that Guthrie was on their “Masonic bucket list”. I was able to meet Brethren from all over the country. I spoke with Brothers from California and Massachusetts, Missouri and Texas. All of them had one thing in common; they all had either transferred their Scottish Rite membership to Guthrie or purchased a plural membership there. I was told they found something special in this small Oklahoma town. They attend the reunion every year as one brother put it to “Recharge his Masonic batteries”. I totally get that. I can honestly say the entire time I was at this event I heard not one gripe, complaint or negative word. I have had some amazing Masonic experiences but this is the first time I can honestly say that. I also got to spend time with an old friend, Brother Lance Kates. Guthrie is Lance’s home valley and had a part in the 23° degree. We got to hang out and have an amazing dry aged steak at a local restaurant. It is always good catching up with Lance in person instead of reading his thoughts on the glowing screen of a cellphone. As we drove home to Texas my fiancé and I were both in good spirits. I had an amazing Masonic experience and my Fiancé's niece won most of her games while showing off her pitching abilities. I am so glad I was able to attend and I would encourage you to visit if you get the chance. By the way. While I was in Guthrie I decided to purchase my very own prayer cap. I know I will be back because I found a home in the Valley of Guthrie. After one is exalted to the most sublime degree of the Royal Arch, a candidate is asked to leave his mark in the book (Traditionally this is done after the Mark Master degree). 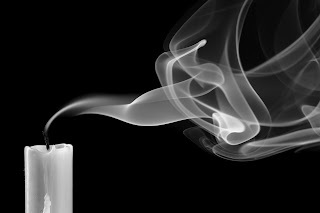 Very similar to the degrees preceding in which the candidate writes his name in the log of newly raised Master Masons. It is taught throughout the craft of Freemasonry, starting at the very beginning of the first degree that a Freemason must be vigilant of his mark. No, we aren’t talking about the mark Operative Masons use; instead, we are referring to the mark a Freemason will make on the world around him. The marks made within the Royal Arch Book of Marks is a symbolic representation of who the candidate was/is. It is a unique symbol only to that candidate. If my mark were to be drawn on a piece of paper, it is no doubt that brothers of my Royal Arch Chapter, Waukegan Chapter No. 41 under the Grand Royal Arch Chapter of Illinois, will know that mark to be mine (hopefully, that is if Companion Johnson recorded it after my departure; a story for another time, perhaps). Being that my mark is special to me, it reminds me of one characteristic that is, yet again, unique to myself. My thumbprint. During my entrance into the United States Army, I had to submit my finger prints to ensure that I was not on any national based list of criminals, terrorist, etc… After doing so, they permitted me to have a security clearance, gave me a firearm and told me what to do for the last 10 years of my life. After returning to the civilian world I was then submitted to another array of fingerprint analyses for the various police departments I was applying for. My unique mark is all over the country in various forms on many different databases. Needless to say, they they know I am not a criminal. They also haven’t found anybody in the country’s database with the same thumbprint. Like I said, it’s my unique mark on my temple… My body. In a recent trip to Philadelphia with my school’s clown troupe (another story for another time), I had the strict pleasure of visiting the Grand Lodge of Pennsylvania. I have been invited to speak at various lodges across Pennsylvania, and traveled clear across the state multiple times, without stopping in and seeing this beautiful master piece [Grand Lodge PA]. I have a lot of stories to tell about this specific Grand Lodges, like the evident flaw in it’s building, and I will tell these stories in due time. However, I would like to keep this on track of one thing that jumped out to me the most. Uniqueness. In the Grand Lodge there are many beautiful rooms with extrinsic and intrinsic value, deep rooted history, and a pure feeling of reverence that rushes over you. Yet, one room stands out the most. It’s not even a room as it is a corridor. This long narrow hall displays beautiful architecture of the Virtues that cement our brotherhood of man, as you walk the black and white checkered floor toward a gorgeous stained glass. In the top of the glass you can see a number of Masonic symbols; from the Sun in the left corner, the Moon in the right, Solomon’s Seal in beneath the Sun, Pythagoras’ theory across from that, and the All Seeing Eye above the Volume of Sacred Law. It is a magnificent piece that would wow anyone passing by the building. But, yet again, it isn’t the most interesting piece of the building. In that corridor sit’s this most beautiful stained glass artwork and is outshone by the little strip of paint along the edge of the wall. 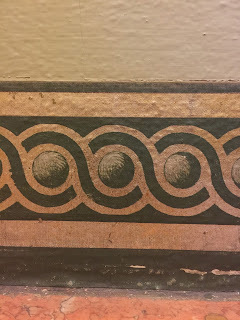 Circles painted in decoration, and if you look closely the unique mark of every builder that helped complete the temple— Their thumb print. Even if the builders weren’t Freemasons, their mark will live forever with that building. It makes me ponder, where have I left my mark? Will someone find it one day and it be in good nature, or will it bring negative thoughts about who I was as a man? We leave our mark everywhere we go, with everyone we meet, and everything we do. Can we hold proud that our mark is a part of building something beautiful; something that we built with our own two hands, a life others may look toward as guidance in their own conquests? Church for the purpose of organizing a Masonic Club. On June 8, 1939 Speedway Lodge No. 729 was constituted. This is my Lodge. The Lodge I grew up 2 blocks from, the Lodge my father was a member of DeMolay as a child. The Lodge I petitioned and was raised in a decade ago. Let me set the stage, we are in Speedway, IN just a few blocks from the Indianapolis Motor Speedway which celebrated it's 100th running of the Indy 500 shortly after I wrote this. Well my Brothers, some months ago lodge #500 merged with another and my Lodge was informed we could change our number if we so desired. I cringed, I cringed and panicked. Why would we want to change our number for the sake of vanity? Surely this would never happen! Right? Who would want such a thing?! I'm in the minority. The last I heard in official Lodge communication is that we will be changing from Speedway #729 to Speedway #500 later this year when the GL has their annual meeting. 77 years of history down the toilet for the sake of vanity. Thousands of Brothers who were raised at Speedway #729, who's Bibles and aprons say #729, some who are multi-generational members of #729, plaques and photos that say #729, a charter that will need to be amended or reissued as per the GL's bylaws, obituaries-newspaper clippings-social media posts that all speak of #729, all made irrelevant for the sake of vanity. "...But Brother Mercer, it would be cool if we were Lodge #500 in Speedway where the Indy 500 is!". I see why my Brothers are excited, it's a novelty and fun but it casts 77 years of tradition to the side for what essentially is the Lodge equivalent of a vanity plate. Brothers, this saddens me. This saddens me deeply. If you ever are in a similar situation of giving up tradition for vanity, please spend time reflecting on the situation before taking a side. Tradition sometimes, needs changing to stay relevant with an ever-evolving society but sometimes it's ok to leave things they way they've been.